Do you lose patience with your child, then feel awful? Does parenting feel overwhelming? Get started with our 5 FREE Discipline without Punishment Videos! Learn what parenting without punishment actually looks like! When children are uncooperative, defiant or sibling conflicts, what are the best approaches to decrease reactivity and increase harmony? The Peaceful Parent online village offers parents, teachers and professionals support, guidance, empathy and training they can trust, as they care for the children in their lives. 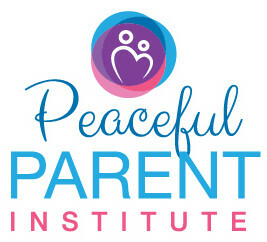 Village members have access to the Step by Step Guide to Peaceful Parenting, the Discipline without Punishment video series, 10 day PP challenge and many more resources. Peaceful Parenting seminars for parents and educators.. Based in Whangarei, New Zealand, Genevieve can be booked for speaking events nationwide. Genevieve, thank you for encouraging all of us. I am Midwife and mother and I live in the south of Spain where education is caught up in old role models. My work is dedicated to giving families a chance to find love, understanding and consciousness from the beginning, which is in pregnancy, living with their unborn child. i am grateful to find that kind of inspiration you spread through your writing. Genevieve you have a knack for pinpointing the big issues and explaining them so eloquently. Thank you!! Genevieve, I so love that you have done this work (of healing trauma) and can offer your services to others. It's a rare gift of insight and leading the way that you offer, so few understand its ramifications in nearly every aspect of one's life. I would (and will) recommend any woman considering pregnancy who hasn't healed any childhood trauma, particularly sexual assault to make contact with you ...because it WILL be a big issue in the labour and/or the child's early years. And if they are already parenting, getting help from you around this issue in their own life will ease their parenting tenfold. Thank you again. You are a voice shouting into the wind....a strong voice with tons of courage. You are doing such amazing work, Genevieve, and it is spreading like waves of love. Thank you, thank you with all my heart!! Just a personal thank you from me to you. For the time, energy and effort you put into this building this community. You have helped me immensely through this particular situation with my daughter and, although you don't know it, you have have helped me out many many more times. You are educating, fostering and supporting a new generation of women (and men) and I thank you so much for that too.